A four-layered, active vapour barrier ensuring thermal energy saving thanks to reflecting infrared rays. Its outer part has an aluminium layer (it should be mounted with metalic side towards the inside of the building). It limits water vapour diffusion considerably (Sd=6 m), it’s waterproof at 2 kPa. Weight: about 80 g/m2, thickness: 400 μm. Unique properties of the product allow for active regulation of vapour transfer preventing condensation and damage of wooden constructions resulting from thereof. 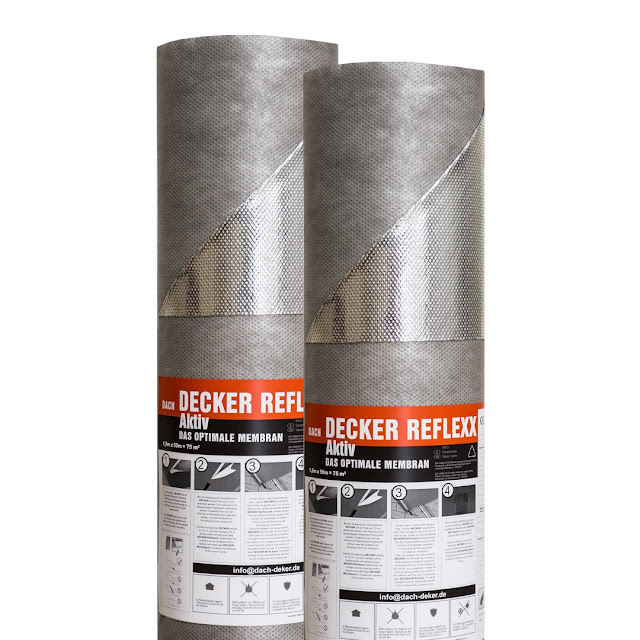 Reflective surface of aluminum coating allows for reduction of heat loss. It is strongly recommended that the overlaps are tightly sealed with dedicated DECKER DUOBAND or DECKER MULTIBAND and DECKER BUTILBAND tape. 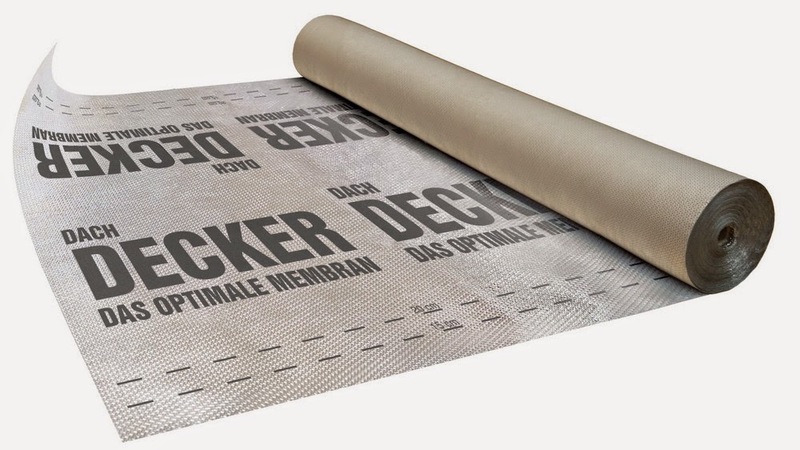 * The product is made without labels - "dach DECKER". On the photos inscription is made graphically.